Pyramid Director Warehouse Execution System (WES). Fully integrate your warehouse management system with your material handling equipment. Pyramid Director Warehouse Execution System (WES) seamlessly integrates, optimizes and manages all of your distribution center (DC) operations. Director WES provides a central data repository that interacts with your warehouse management system (WMS) and enterprise resource planning (ERP) system to manage items (including cartons, totes, pallets or units) in real-time on your material handling equipment (MHE). Director WES’s functionality allows you to fully leverage your WMS—along with your personnel and operations—to most efficiently manage resources and take complete control of your supply chain. Our software fully integrates your WMS or ERP with your DC processes and MHE. Further, it expands your functionality without requiring costly WMS/ERP modifications that can be challenging to support. Pyramid Director WES: Operational visibility of all material handling equipment, end-to-end. Connect your users to DC-wide operations. This gives them complete, simple, easily understandable, one-stop visibility into inventory, process and equipment status throughout your facility. Functions include continuous measurement and reporting of all key operations metrics; exception management and diagnostic tools; up-to-the-second graphical visibility into equipment status/performance; and comprehensive views of your inventory, with individual status and location by handling unit, wave or batch. 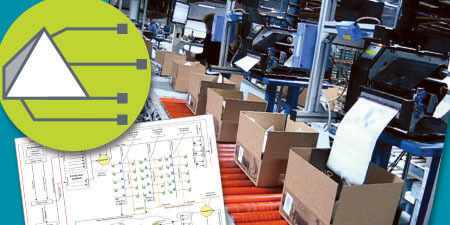 Connect your warehouse management system (WMS) to order fulfillment operations. Even specialized and highly automated order processing can be accommodated, including auto-box or auto-bag order fulfillment, auto-label/print apply, packing list printing/inserting and more. These operations are directly supervised, optimized and controlled to fill both direct-to-consumer and retail store orders. Connect your WMS to your unit sorter (tilt-tray, cross-belt, bombay and more). The sorting algorithms that are unique to your business (no matter how complex) can be executed in real-time at high speeds for packing, shipping, returns or other fulfillment processes. Further, that inventory can be controlled with a very high degree of precision, with complete inventory accountability maintained at all levels and within each step of the fulfillment process. Our agility and affordability allows our customers to minimize the cost of loop sorter ownership. 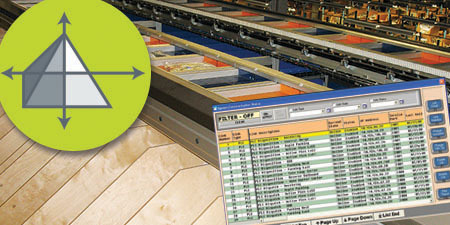 Connect your automated storage and retrieval system (AS/RS) to your WMS, conveyors and sorters. This optimizes storage and retrieval inventory to achieve balanced flow within the DC. It can also power wave/batch picking optimization and order fulfillment. Director WCS completely integrates a storage system intelligently into your DC operations. Connect your WMS to receiving docks. This enables inbound shipments to be fluidly unloaded, automatically checked-in and reconciled against advance shipping notices (ASNs), or blind receipts acknowledged as either purchase order (PO) or stock keeping unit (SKU) items with camera-based data entry. Received inventory is sorted/forwarded according to your specific processing requirements. Connect your WMS and transportation management system (TMS) to your shipping docks. This allows finished orders to be automatically identified, weighed, dimensioned and sorted based on your algorithms and freight optimization specifications. The system automatically verifies product at the docks, fluidly manifests it and loads it onto a trailer in one motion. 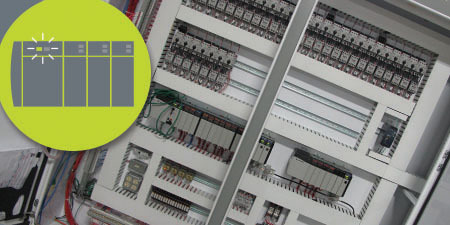 Control solutions for new installations, retrofits and combinations of the two. Connect and control automated equipment and technologies. Fully integrate your WMS with your material handling equipment. Rely on 22 years of controls and software expertise. Pyramid is a premier provider of warehouse control and execution system software and controls. Top brands leverage Pyramid controls, WCS and WES solutions to transform their distribution centers into high-performance omnichannel order fulfillment operations.